Attorneys who are Dedicated to the Aggressive, Tenacious and Effective Defense of those Charged or Indicted in Federal Court or Under Suspicion Regarding any Federal Offense. When facing federal criminal charges, it is critical that you hire a federal criminal defense attorney who is capable of handling these complex and critically important matters. Federal offenses often carry potential sentences that exceed those that may be imposed in state courts. When the stakes are high and you are looking for a lawyer who will fight for you like no one else…our team of federal defense lawyers are here to fight for and protect you! We are not afraid to do whatever is necessary to give you the greatest possible advantage in court and we have an unparalleled track-record of success. The laws that govern federal crimes tend to very complex, so it is vital that your lawyer have a thorough understanding of these laws and be able to interpret them in an effective way. 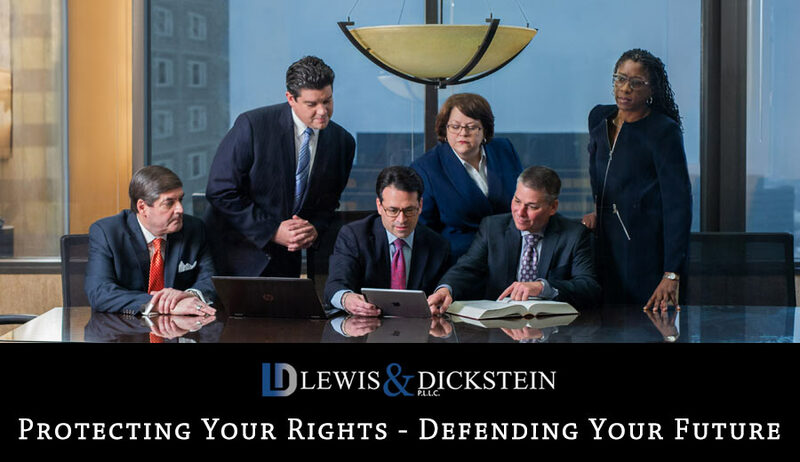 At LEWIS & DICKSTEIN, P.L.L.C., we have a great deal of experience handling federal cases throughout the United States. We appear almost daily in the United States District Court for the Eastern District of Michigan and we’ve appeared multiple times in the Western District as well. The key advantage to hiring a criminal defense law firm, as opposed to a single attorney, is that we have multiple lawyers who collaborate regarding every case we handle and work together to achieve results that a solo practitioner would be unlikely to accomplish. After being charged with a federal offense, you will need a seasoned attorney to represent you, preferably before a complaint is filed or an indictment is issued by a Grand Jury. Due to the nature of federal crimes, these offenses are thoroughly investigated before they ever actually make it to court. Federal investigations can take years and long delays do not mean that a prosecution or indictment is not forthcoming. Because a federal investigation can take some time, it is critical that your lawyer start to preserve and protect evidence that may be favorable to you before it becomes lost or unavailable. Having a Michigan Federal Crimes Defense Attorney to represent you during the investigation phase can be very beneficial to the future status of your case. An indictment can sometimes be avoided through the thorough investigation and defense of your case while it is being investigation. We have had multiple clients avoid federal prosecution through thorough and proactive pre-indictment representation. A great federal defense lawyer will protect your rights and will help insure that evidence isn’t illegally obtained against you. As seasoned federal criminal defense attorneys, we have the skills to negotiate with federal prosecutors to minimize potential charges, and will always work tirelessly to get sentences reduced or dismissed. Over several decades, we have been able to achieve sentences that have avoided prison in cases where it was thought that a long term of incarceration was unavoidable. Achieving extraordinary sentences does not just happen, it takes years of dedication and experience to become among the most effective and respected federal criminal defense law firms in Southeastern Michigan. In addition to prison and employment problems, a criminal conviction can result in loss of your driver license, changes in child custody, civil lawsuits, damage to your reputation, deportation and more. We know that you want someone who will represent you like they would their own family member. This is the type of care and dedication you will get from LEWIS & DICKSTEIN, P.L.L.C. If you would like a free consultation with a passionate, effective federal crimes defense lawyer, please call The Federal Defense Team at (248) 263-6800 or fill out a Request for Assistance Form and we will contact you.